Charcoal lattes: the 'unhealthy' new health craze? Er, would you drink this? Like the massive green-leafed pot plant in the white-walled corner or the casual and emotionless pose in front of a single-coloured wall, certain pictures are such Instagram classics! 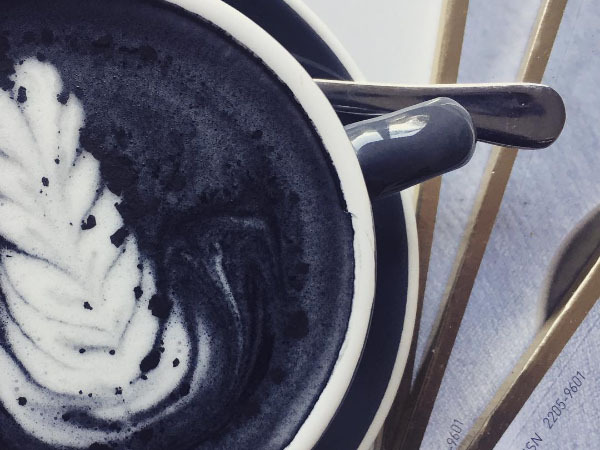 And now it seems there’s one more you can add to your Insta-worthy folder: charcoal lattes. The charcoal latte is a hot drink made with "activated charcoal" and milk. And while we’re not sure what it tastes like, one thing is certain: it makes an awesome picture! But there’s more to the dark drink than just looking snazzy on your curated feed. The charcoal latte apparently has health benefits: it detoxes the body, is a digestive cleanser and can cure a nasty hangover. But according to dietician Michelle McGuinness you might want to curb that excitement. “Charcoal lattes are another example of the unnecessary detoxing trend,” she told Metro. Read more: Is the food you eat ageing you? In South Africa activated charcoal is a registered drug for the treatment of overdosing or poisoning and you don't need a prescription for it. But McGuiness is serious about her warning on consuming a charcoal latte. “Anyone who takes medication should avoid the consumption of activated charcoal,” she adds. And if you’re still keen on having your body detoxed, the dietician has advice on this too: keep it old school. Just in case you’re weighing the pros and cons of enjoying a charcoal cuppa, consider your pocket too. As with most trendy health foods, charcoal lattes could cost you a pretty penny in comparison to your average coffee. Health risk and a bend in your budget?